Before I was a children's book author, I was paid to make videos. This experience came in handy as I make book trailers for my own books. I believe book trailers are useful marketing tools. There is debate about this, some authors don't think book trailers sell books. Well, since I've seen a lot of AWFUL book trailers, so I agree that weak book trailers don't sell books. But coming from 16 years of working in the field of marketing for this company, I see their usefulness in providing content for your blog and author pages on GoodReads and Amazon (see what I'm talking about here and here) and on your Facebook page (I will blog about how to set those up in later posts). Book trailers pique interest in your titles, and they optimize your name and book titles in search engines (making it easier for people to find you and your books). But your book trailer has to be watchable!! You can see terrible book trailers at Book Trailers for Readers. 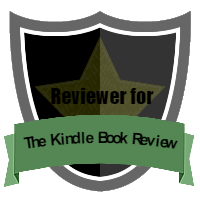 Granted, this site is readers making book trailers, not authors or publishers. But really, I found them painful to watch. And there are a lot of self-made book trailers that follow the same patter as Book Trailers for Readers: they use clip art and bad music. I will post later about various sources of free and cheap music for videos (there are some great sources out there), but for now--avoid clip art. Please. And if you must use it, then make sure it all matches in style. I cringe when I see a video that uses cartoonish clip art mashed with photographs. It doesn't visually fit. And it's a video, so visual is vital. If you're trying to find some book trailer examples to imitate, you can find some good ones at SchoolTube and Slimekids. You can also look for publisher sites. I saw a fun one for The Cloak Society at Harperkids, although it's more complicated than most of us can do on our own. These book trailer examples are focused on children's books, because that's my area of focus, but you can Google "book trailers" and search with your category or publisher-type and find examples in your category too. I recognize that I am lucky. I have an illustrator who can create backgrounds and animate my beginning and ending sequences (thank you Carol Stevens!). However, watch a bunch of book trailers and you will see that a lot can be done with text, a cover, and maybe some voice over. Remember, if you can't make a book trailer visually appealing, then you should consider not making a book trailer at all. But you can do it! Tell me how your book trailer experience goes, and feel free to link to your book trailer in the comments below. Look for future posts on tips to making a good book trailer. See the #1 Best Seller Ribbon?!! Yep, it's true! 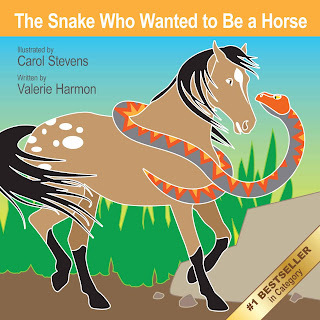 Our first children's picture e-book, The Snake Who Wanted To Be A Horse hit #1 best seller in its category yesterday. Thank you fans who made that best seller status possible, and for sharing our joy in our new cover. I've seen this video before, about an unlikely friendship between a dog and an elephant. But as I work on the next book in our WantsToBe series, The Elephant Who Wanted To Be A Bee, this tender video strikes a stronger chord. And after all, if friendships can strike up between a dog and an elephant in real life, then maybe a friendship between a bee and an elephant isn't beyond imagining. We've been published for a day and I have exciting news to share. It's a best selling book! It is the #7 paid for children's book in its category! Wow! I am amazed and so very excited! Here is a picture of it. I am now the author of a published book. I've dreamed for years about becoming a published author. With six children, and knowing my time to raise them is only a small portion of my life (I plan to live long), I've put my writing on the "takes a decade or two to finish a novel" track. And as my eldest children have entered adolescence, my writing has slowed even more. I've been fine with the slower writing pace. Motherhood is a choice I've made and never regretted, even when it's been difficult. But that doesn't mean the dream dies. It just waits. Patient. Hopeful. And gaining in experience. While writing as a teen, I felt my lack of experience as an obstacle to a worthy book. And I was probably right. I had only a tinge of adolescent angst, much less than most teens. With an idyllic childhood and the habits of an optimist, I didn't have enough of a story. And without conflict, there is not story. Nothing is more boring to read about than a happy life. That's why "And they lived happily ever after" is an ending, not a beginning. So I gained in experience. But by the time I had enough experience, I was out of free time. But then veteran illustrator Carol Stevens calls me up and invites me to write a children's book with her. And here I am, stunned and thrilled. Dinner is unmade, and it's 6:30pm. And I keep staring at my Amazon author page, my Amazon book page, and my GoodReads author page. I keep reading the wonderful supporting comments from my friends on Facebook who are rooting for my success (and over 90 of them were beta readers for this first book--THANK YOU). And so, today has made it to "The top ten days of my life." Thank you for sharing it. 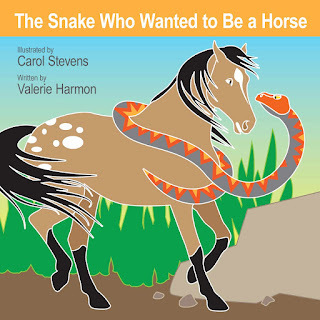 On Monday, February 11, 2013, The Snake Who Wanted to Be A Horse will be published and available for purchase on Kindle.com (as a children's picture e-book for most mobile devices). Here is a Book Trailer for it, showing a few of the beautiful folk art illustrations from veteran illustrator Carol Stevens as well as a teaser for the book's plot. All content on this blog, except for images of books not authored by Valerie Harmon, is copyrighted. Picture Window theme. Powered by Blogger.